Structure My Deal tools are complete — you're ready to visit AutoFair Subaru of Haverhill! When we all share love, we all win. Over the last 10 years, through the Share the Love Event, Subaru of America and its participating retailers have donated more than $118 million to charity, with customers choosing between four national and over 1,170 local charities. In this, our 11th year, we are on track to bring that total to over $140 million, proving there’s no limit to the amount of love we can all share. Veterans Northeast Outreach Center, Inc. The mission of the Veterans Northeast Outreach Center is to provide the highest quality of services to assist, support, and advocate for all Veterans and their families in Essex, Middlesex, Barnstable and Rockingham Counties. Get a great vehicle and support a great cause. With every new Subaru purchased or leased, Subaru will donate $250 to your choice of charities*. 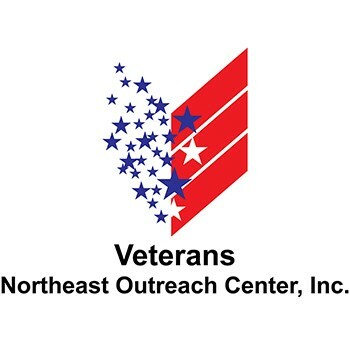 AutoFair Subaru of Haverhill will also support your local community by donating an additional $50 for each sold or leased vehicle to Veterans Northeast Outreach Center, Inc., up to $2,500 in total. November 15 through January 2. These donations are instrumental in executing our daily mission of supporting our local Veterans. Without generous donors and the support of our local businesses we would not be able to continue to help our Veterans. A leading voice for animals for over 150 years, the ASPCA® provides life-saving protection and care to those in need. Whether it’s rescuing animals from abuse and neglect, introducing and enforcing more humane legislation, or supporting animal shelters across the country, the ASPCA relies on donations and public support to help animals live better lives. Through the ASPCA, Share the Love has had a significant impact on the rescue, transport, and adoption of more than 50,000 animals across the country. Research shows when children diagnosed with a critical illness are granted their one true wish, it gives them renewed strength and energy to keep fighting. Their families and entire communities come together. The impact from just one wish, has the power to transform the lives of everyone involved. Through Make-A-Wish, Share the Love has granted the wishes of more than 1,800 kids with life-threatening medical conditions. Meals on Wheels provides 2.4 million homebound seniors with the nutrition and companionship they need to age without fear of hunger and isolation. For these vulnerable seniors, the Meals on Wheels volunteer’s daily visit keeps them healthy, connected to their community and able to live independently in the place they love most: their home. Through Meals on Wheels, Share the Love has helped deliver nearly 2 million meals to America’s seniors. The National Park Foundation, in partnership with the National Park Service, enriches America’s national parks and programs, safeguarding our heritage, and inspiring generations of national park enthusiasts. Through the National Park Foundation, Share the Love has provided funding for critical programs and projects in more than 100 national parks and helped increase public awareness and engagement across our national park system. How do I select the charity or charities I want to receive the donation? You can make your charity selection on subaru.com/share, by calling 1-800-SUBARU3, by completing the form on the Digital Showroom kiosk, or by filling out a self-addressed prepaid envelope provided by your retailer. You will be asked to provide your name, contact information, VIN, and charity selection. Subaru will then make the donation based on your designation. Visit www.subaru.com/share to learn more about the program and each of the participating charities. What if I want to split the donation (i.e., select more than one charity) or vote more than once? Each customer who has purchased or leased a new Subaru (2018-2019) can either designate one charity to receive the $250 donation or split it among any number of the participating charities. Only one donation (of $250) is made per vehicle sale or lease. How long do I have to make the charity selection? While we encourage customers to make their charity selection at the retail store at the time of purchase, selections will be accepted online at subaru.com/share, by phone at 1-800-SUBARU3, and by mail via prepaid mailer through January 31, 2019. I bought a car, but forgot to submit my charity selection. Where does my money go? For those who do not submit their charity selection by January 31, 2019, Subaru will allocate each $250 donation on the customer’s behalf to participating charities. How will I know that the donation was made? You will receive a thank-you letter from Subaru on behalf of all of the charitable beneficiaries of the campaign. By what date will Subaru make the donations to each charity? How much money is expected to be donated? Subaru will make the donation to each charity by March 31, 2019. Over the last 10 years, Subaru of America and its participating retailers have donated more than $118 million through the Share the Love Event. By the end of this year, Subaru and its participating retailers will have donated over $140 million to help those in need. Can I take a tax deduction for this donation? Because Subaru is making the donation, the donation is not a tax-deductible contribution from the purchaser. Why do some retailers have four charity options and others have more charity options? Subaru of America offered the retailer community an optional opportunity to select up to two charities local to their communities to join the four national charities in the Share the Love Event. While some retailers are participating in this option, others chose to participate solely with the four national charities. Subaru is a registered trademark. *Subaru will donate $250 for every new Subaru vehicle sold or leased from November 15, 2018, through January 2, 2019, to four national charities designated by the purchaser or lessee. Pre-approved Hometown Charities may be selected for donation depending on retailer participation. Certain participating retailers will make an additional donation to the Hometown Charities selected. Purchasers/lessees must make their charity designations by January 31, 2019. The four national charities will receive a guaranteed minimum donation of $250,000 each. See your local Subaru retailer for details or visit subaru.com/share. Additional information about Make-A-Wish Foundation of America is available by calling 1-800-722-9474, or by visiting its website at wish.org. All donations made by Subaru of America, Inc.